For lack of a better title, "!!!!!!!!!!!!!!!!" 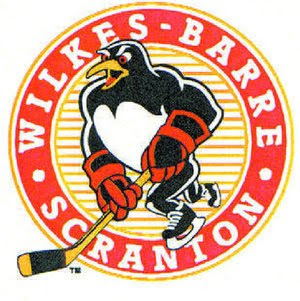 For most of the game, the feeling in Wilkes Barre was that they would surely get their 6th win of the season and stay undefeated, but then that all changed, and then changed back again. It was an emotional roller-coaster for the fans in WBS on Saturday night as they saw a sure win slip away in the final seconds of the game when Corey Locke beat Curry and tied the game up for the Senators with 10.6 seconds remaining in the game. The Pens rebounded nicely, and then won a marathon shootout to get that 6th win, and keep their place atop the AHL. Dustin Jeffrey and Kevin Veilleux enjoyed shootout success as well as Ryan Keller and Mike Hoffman of the Sens, but it was Chris Conner's deke around Barry Brust's poke check that found the twine and gave the Pens yet another perfect weekend. Steve Wagner's powerplay goal early in the 3rd was the Pens' lone regulation tally. Kevin Veilleux looked good again, and even mixed it up early in the 2nd much to the excitement of the fans. Jesse Boulerice also dropped the gloves for the Pens. Brett Sterling missed yet another game, so hopefully he will be good to go soon as well. Wow, this is starting to get surreal for the Pens. 12 points in 6 games, 1st in the AHL, let's keep it going.